Well, it must be officially summer. 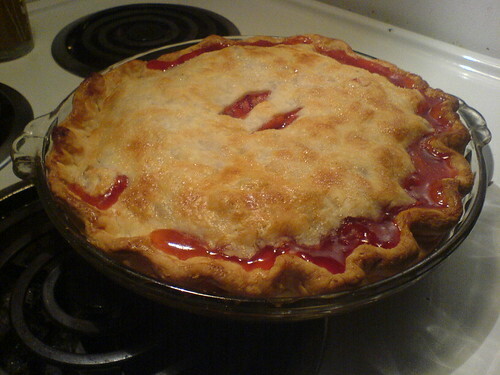 I’ve baked my first strawberry rhubarb pies of the season. This is an old photo, taken with an old camera phone a long time ago. I was just too tired to photograph some new ones last night, but you get the idea. Maybe next time I bake some them, I will take some better photos and replace this one. Anyway, sometimes I just crave the rhubarb. It reminds me of my Aunt Fran and Grama Dee. They used to have it growing in their backyard in Detroit, and I remember having plenty of rhubarb desserts as a little girl. As I was strolling through the grocery store last night, I spotted these very fresh and perfect stalks of rhubarb, and knew what must be done. Especially when I saw some super sweet strawberries a little ways down the aisle. There’s nothing like a little late-night baking for me to conjure up memories of my childhood. I was just in the mood to spend a little time thinking of my Aunt and Grandma last night. So here’s to you girls! And here’s to summer! Hooray! 1 cup (16 tablespoons) very cold unsalted butter or shortening, cut into cubes. 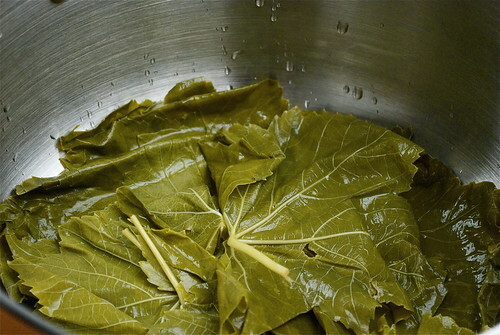 Just cut the stick once lengthwise, then four or five times across to make about ten chunks. 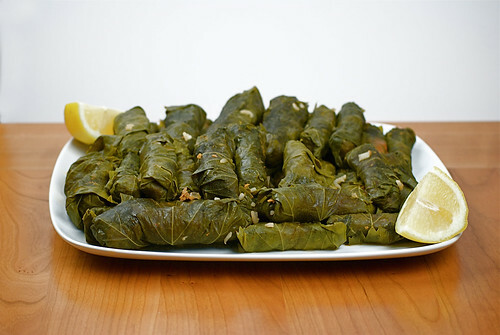 You can also use half butter, half shortening if you like. Approximately 8 tablespoons ice water. This water must be very cold: put some ice cubes in a bowl or measuring cup of water to keep it cold. Whisk egg in small bowl until slightly frothy, and brush on top of pie. Do not refrigerate fruit pies. Also, you have to let them completely cool before covering them with any kind of foil/plastic wrap, or else the top of the pies will become soggy. Indian Cooking Class with Sangeeta! 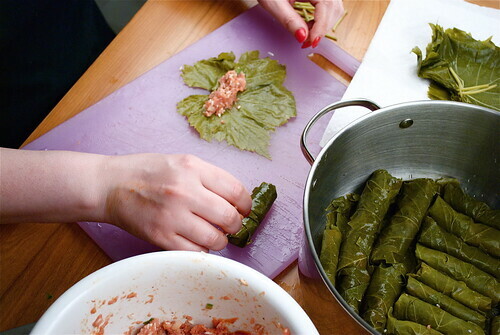 Every so often, some friends and I get together and do little cooking classes. This time we did an Indian class at my Sheila’s house in Ann Arbor, on a beautiful game day Saturday afternoon! 🙂 FUN. My friend, Sangeeta, from back in the days when I worked at Organic, was teaching the class. It was great to see her again after so many years! We started out making a ton of different appetizers that all started out from the same potato/cilantro/spice mixture. We got to see how many variations of an Indian dish could be made from a simple base of potatoes. 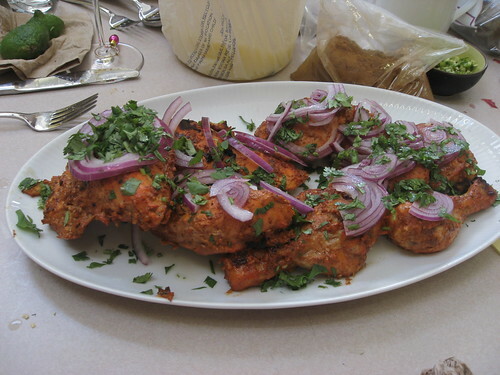 We also made some chicken dishes and some other vegetarian dishes and curries. I love these days spent in the kitchen with great friends. It’s so completely relaxing, and eases the mind of all of life’s little stresses. We talk about love, and children, and work, and dreams. It’s just really special to have friends that share in your interests and your life, coming together to make an amazing meal together, and learn about foods that I could have never made from a recipe or a cook book. Everyone should definitely try to get some of their good friends together, in a kitchen for a Saturday. It will for sure cure anything that ails you. I love baking up cute things for my niece and nephew’s birthdays. This past weekend was no exception. My niece, Heather, and her brother, Christian, celebrated their 9 and 10th birthdays this past weekend. 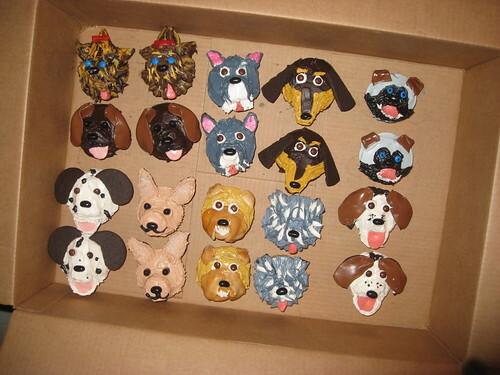 They LOVE dogs, so I decided that these super cute pupcakes (from the book “Hello Cupcake!”) were definitely in order. My only thought, was that it would have made things a whole lot easier to actually use a real piping bag with real decorating tip. The instructions in the book call for Ziplocs for everything…but I found them really difficult to use. But at the end of the day, they still came out pretty cute. In fact, my six year old nephew jack, was so impressed that he shyly asked if he could take “the whole box of puppies home”…I asked him what price he would pay…and after a full couple minutes of deep thought, he answered…”twenty dollars.” I told him a kiss on the cheek and a hug would be payment enough. He seemed happy with that. HAPPY BIRTHDAY CHRISTIAN AND HEATHER!!! 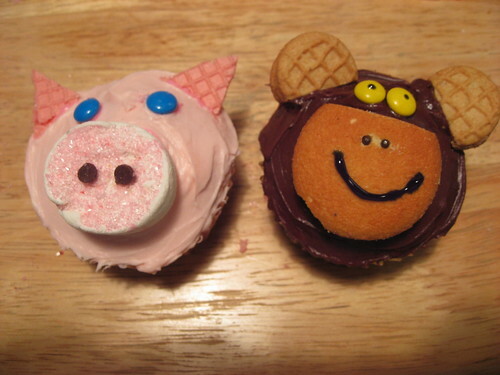 So…I was flickring through some old flickr pics today, and I found a couple of cute cupcake friends that I had made a while back, and thought I would share them. 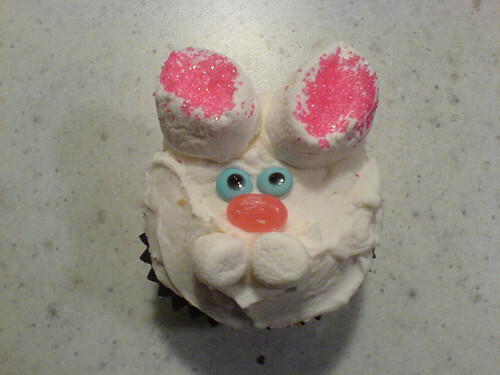 The monkey and pig cupcakes were for my nephew Nathan’s birthday party last September, and the bunny cupcake (below), was from Easter of this year.